What Air Force fans need to know heading into the Bell Helicopter Armed Forces Bowl. Who, when, where: Air Force (6-6, 5-3 Mountain West Conference) vs. Rice (6-6, 4-4 Conference USA), Saturday, 11:45 a.m. Eastern (9:45 a.m. Mountain), Fort Worth, Texas. TV: ESPN (Beth Mowins and Joey Galloway have the call). Gambling is illegal in most states: Air Force is a three-point favorite after opening as a one-point underdog. I only go to bowl websites with R. Lee Ermey videos: You’re in luck. Owls on a roll: Rice rolled off four straight wins to end its regular season and become bowl-eligible, downing Texas El-Paso 33-24 on Nov. 24 to cap off the streak. 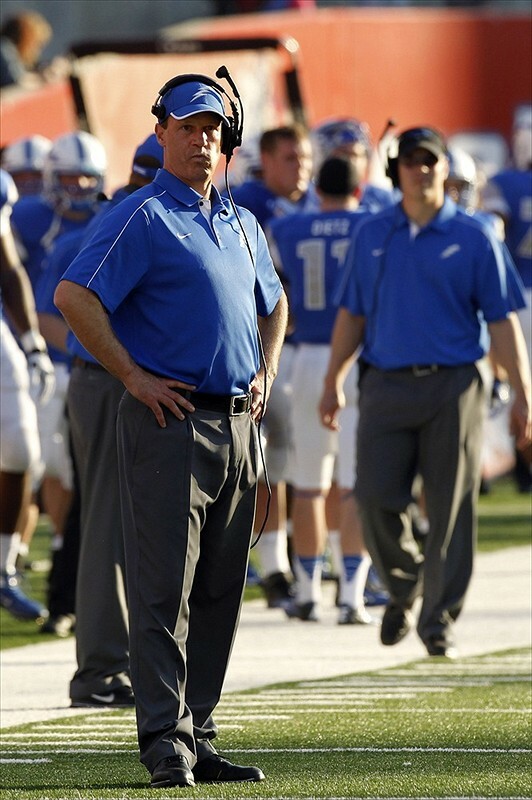 Falcons … not so much: Air Force went 1-3 in November and lost its regular-season finale 48-15 at Fresno State. The Falcons have won one road game this season, defeating Wyoming by a point on Oct. 13.
Who to watch, Air Force: Senior Cody Getz’s ankle injury — suffered in that 28-27 win at Wyoming — knocked him off pace for the national rushing title. He’s had a month with no game action to rest up and could return to his early-season (887 yards in first five games) form. On defense, senior linebackers Austin Niklas and Alex Means lead the way: They’re 1-2 on the team in tackles, Niklas has forced three fumbles and Means has broken up nine passes and managed a team-best 11 tackles for loss. Who to watch, Rice: Redshirt junior quarterback Taylor McHargue has 11 touchdowns through the air and 11 on the ground. While the QB can score from anywhere, the Owls’ true deep threat is junior Chris Boswell, who kicked three field goals of more than 50 yards in a win over Southern Methodist and has six from 50-plus this season. Who to watch, sidelines: Jimmy Burch at the (Fort Worth) Star-Telegram lauds Air Force coach Troy Calhoun for reaching six straight bowl games with the Falcons. Berry Tramel at The Oklahoman offers counterpoint, equating a run of lower-tier bowl bids with a mediocre program. 3 keys: First, Rice’s 91st-ranked rushing defense has to solve the Air Force option in a hurry or risk being rolled over. Second, Air Force must contain McHargue or risk another defensive meltdown like the one in Fresno, which resulted in 479 passing yards allowed. Third, the Falcons will have to maintain focus, or risk being distracted by Rice’s star-spangled headgear.